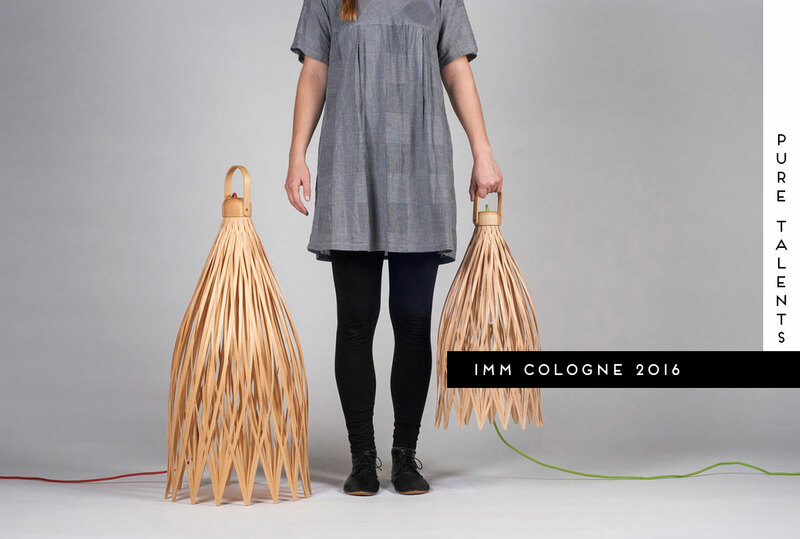 IMM Cologne 2016: Young Designers at Pure Talents Contest. The first major show of the year on the busy annual design circuit, IMM Cologne 2016, is already behind us. Once again, the fair presented a range of products and trends that will help shape the furniture and interiors for the coming year. Today we bring you one of our favourite parts of the event – the Pure Talents Contest – an internationally renowned competition aimed at students, recent graduates and up-and-coming young designers. 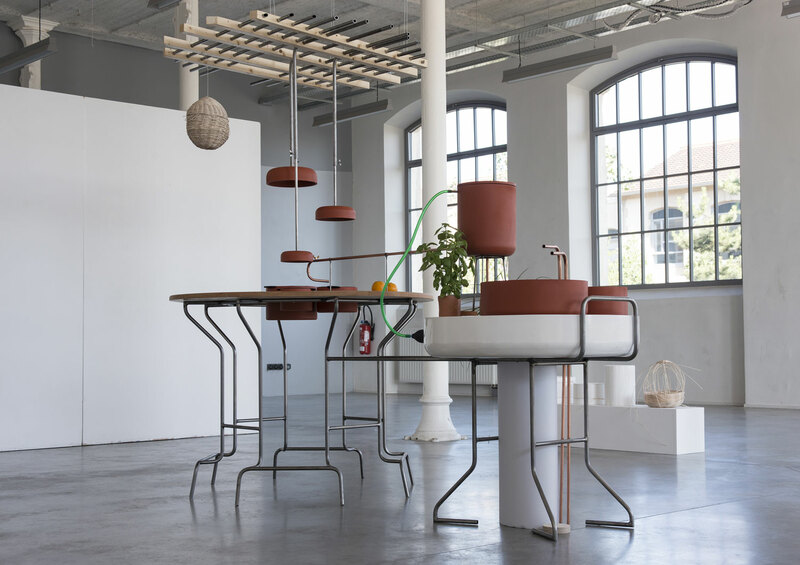 Now in it’s 13th year, Pure Talents Contest is responsible for showcasing 375 products from 474 designers from all around the world, some of which have been taken into production by well-known manufacturers. With courage, conviction, innovation and blue-sky thinking in their hearts, these young designers represent the future of the industry. So without further ado, here’s an overview of the young participants and their products showcased this year at IMM Cologne 2016. 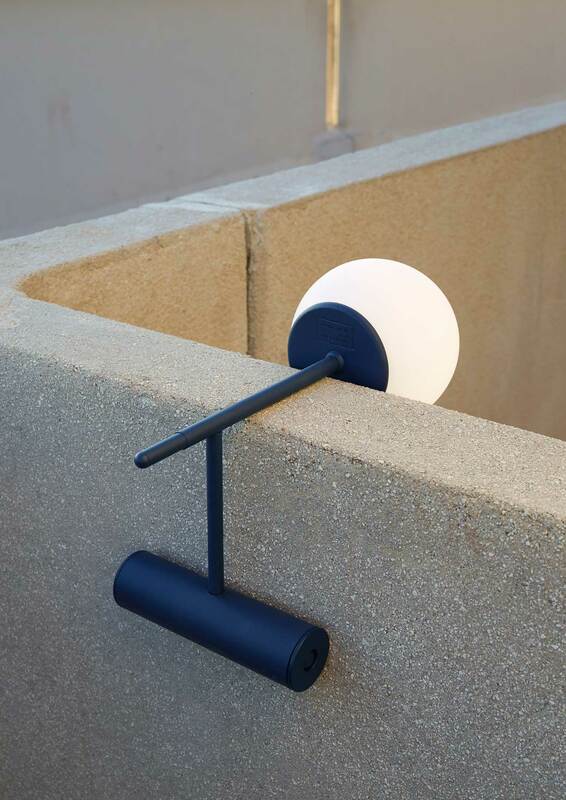 Phare portable lamp by Stanislaw Czarnocki // Easily transportable and with its rechargeable battery (10h of work), PHARE acts as a means for people to bring some light along with them. The stance that the light takes, whether standing at a dynamic angle or hanging from an edge, is a reminder that the lamp is not meant to be fixed in any one spot. 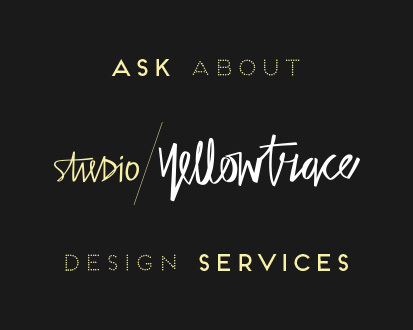 There are no superfluous or decorative elements. Only the function of it gives it its formal language. Related Post: Installation by ÉCAL Students at Apartment N°50 by Le Corbusier. 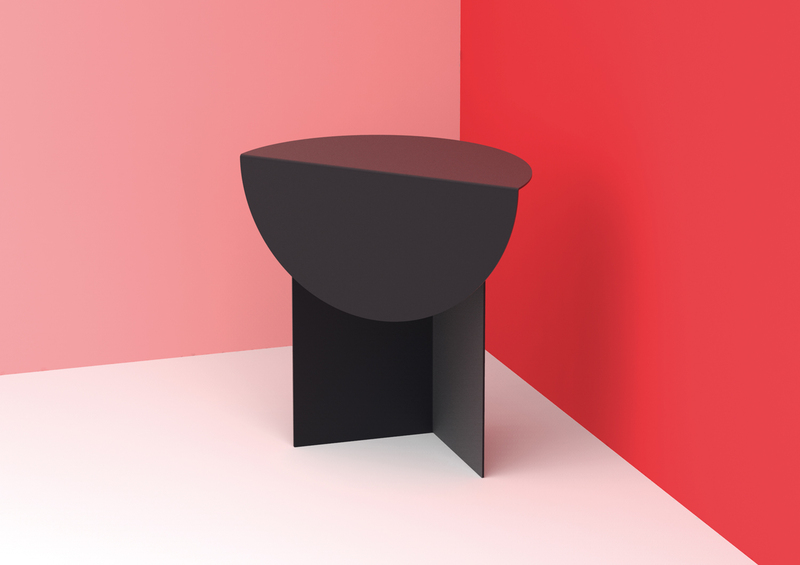 XTEND by // XTEND redefines the bathtub. Made of carbon fibre using a high-pressure water jet, XTEND combines design with flexibility and comfort. Weighing just 7 kg and measuring just 8.5 mm in thickness, XTEND is both space-saving and portable. 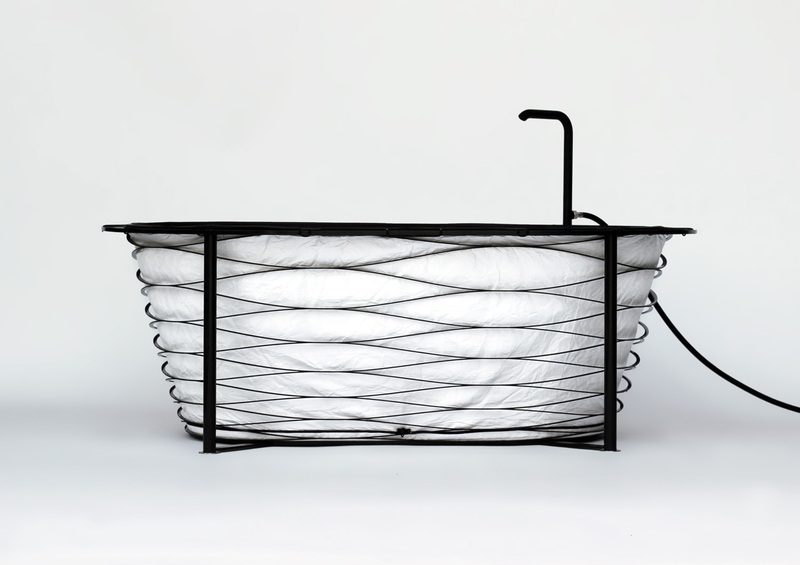 When filled with water the softly padded, machine-washable textile insert not only provides a new bathing experience, but also represents a fine example of artisanal craftsmanship. 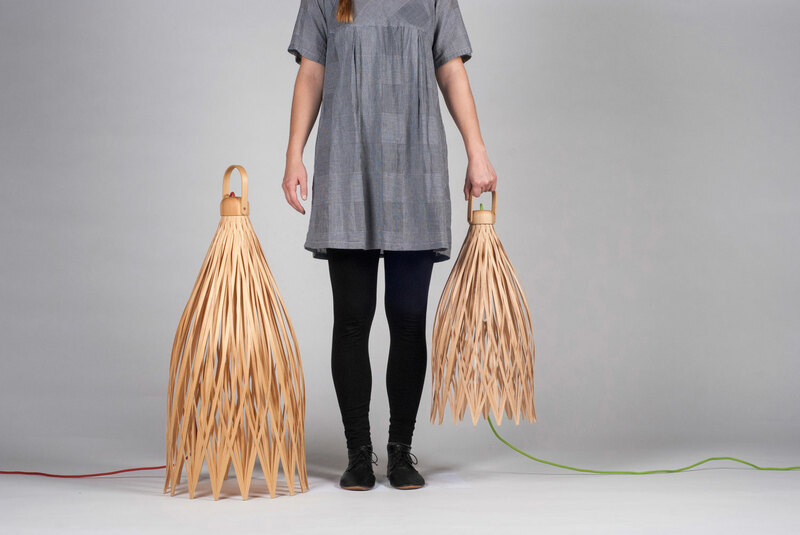 Basketlamp by // The Basketlamp series was inspired by the work and experimentation with the material and baskets – not only by their shape but also how they are made and the way we use them. They are made by the repetition of the work, as in a traditional basket. 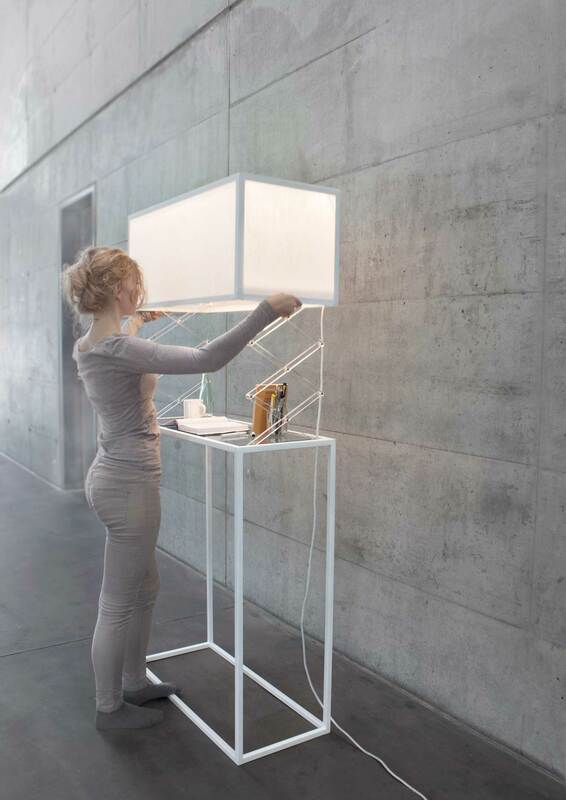 This lamp can be used as a table, floor or ceiling lamp, using the handle to move the lamp from one site to another or to hang it. It can be flat-packed and easily assembled due to the round woven structure and the top. 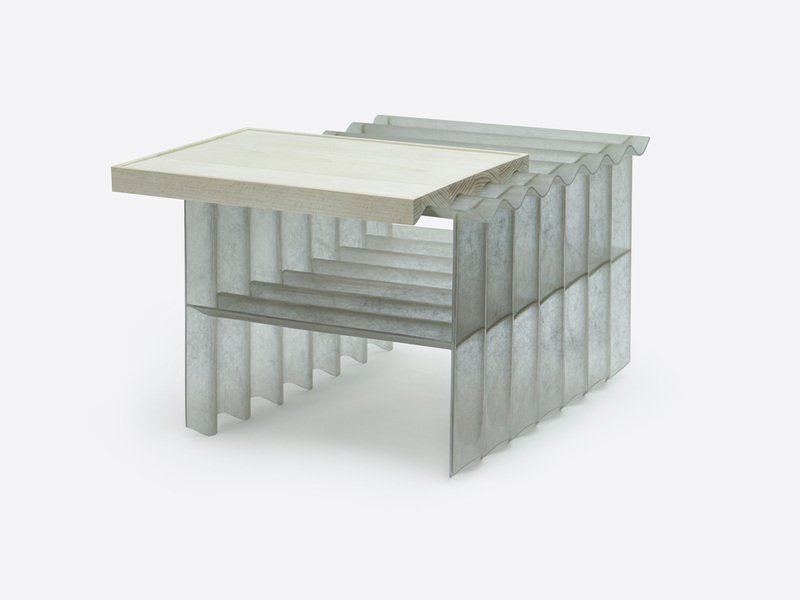 Interface Table by // Interface Table explores a way in which two typically distinct flat surfaces can interface both visually and physically. 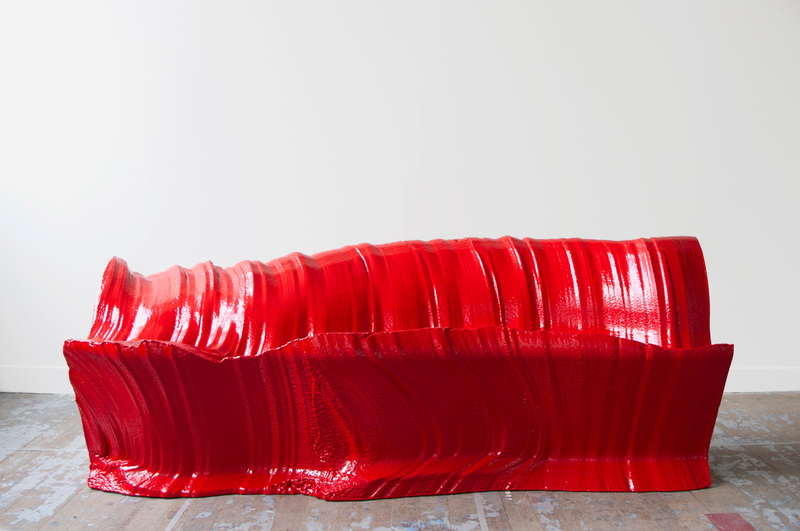 A carved wooden tray sits on top of a translucent, corrugated fibreglass structure. 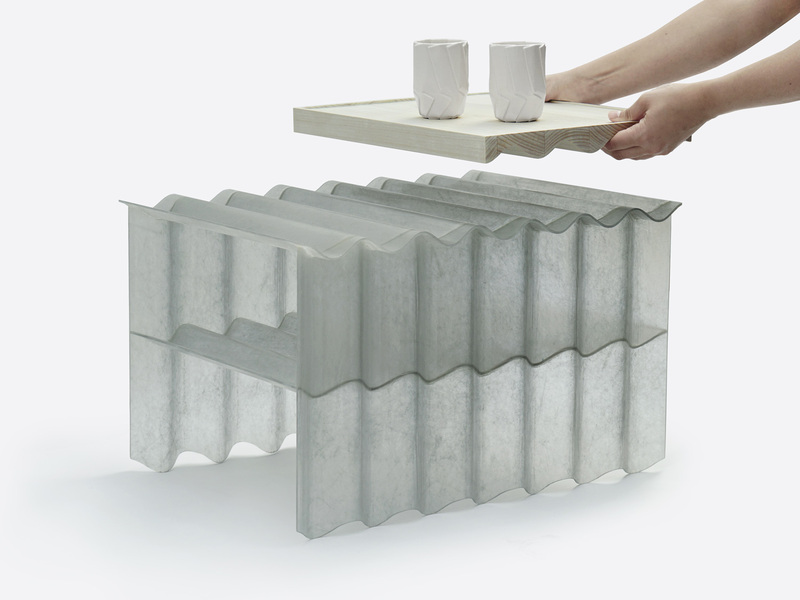 On the table, the flat tray provides a transportable surface for cups and teapots, while the adjacent corrugated surface provides an ideal space for books, magazines and mobile phones. Filter Cabinet by // Editing, retouching and tinted filters have become part of everyday life. Today, social media fulfils our desire for quick fixes and constant renewal. 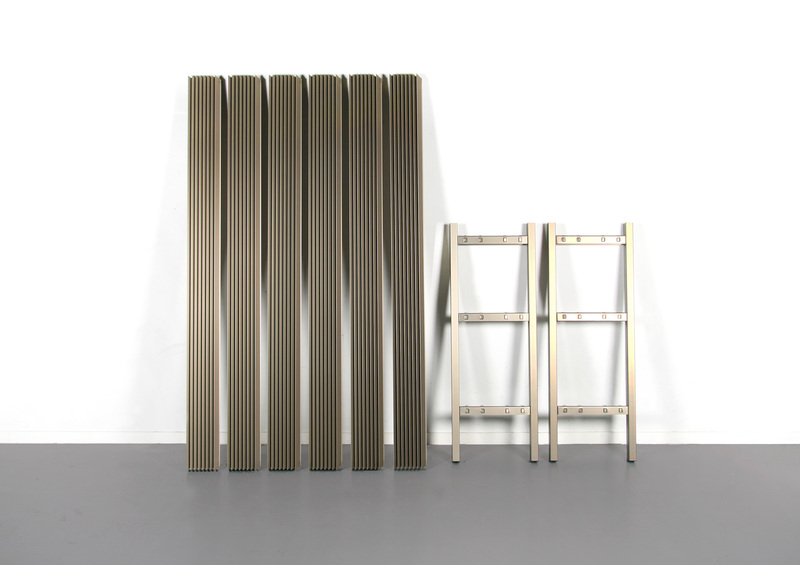 The Filter Cabinet is a reflection of today’s society and how we present our lives to be in perfect balance. It comprises a spyglass which reacts on lighting, and the user can affect the transparency. 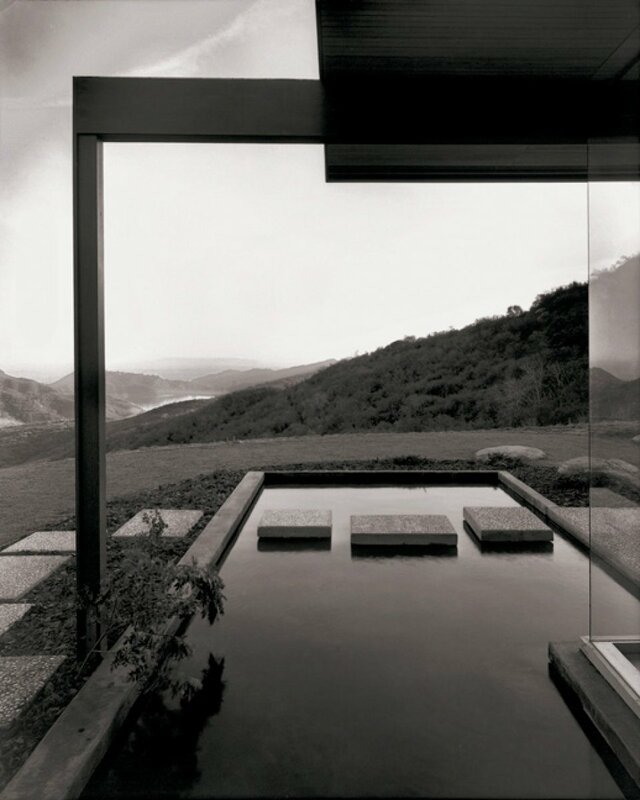 The construction invites the viewer to question credibility while giving the illusion of perfect balance. 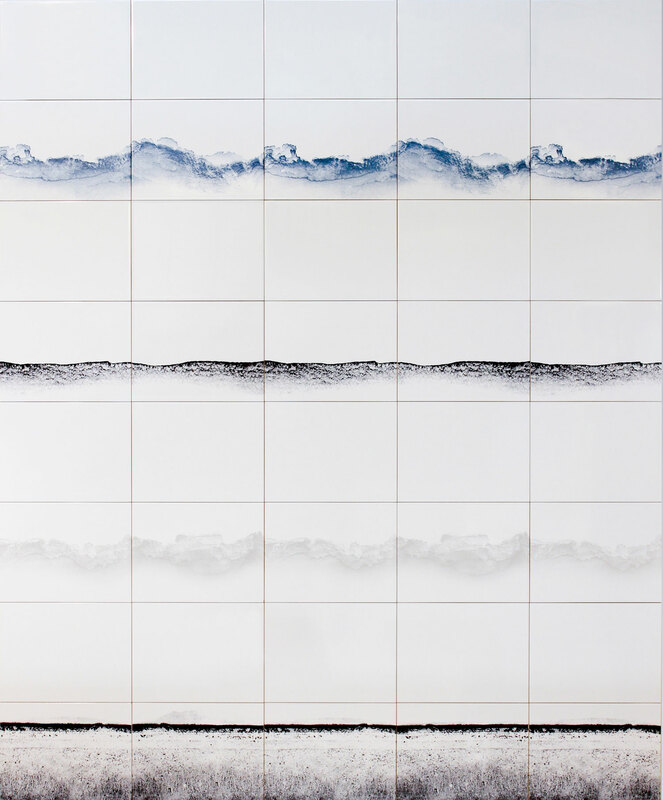 Onda by // Onda are tile borders with patterns created by natural processes such as wave movements and water evaporation. They are reminiscent of the roar of the ocean or the marks left behind on riverbanks and harbour walls after a flood. The patterns have been processed digitally so that they can be put together to form borders – made up of two repeating tiles. 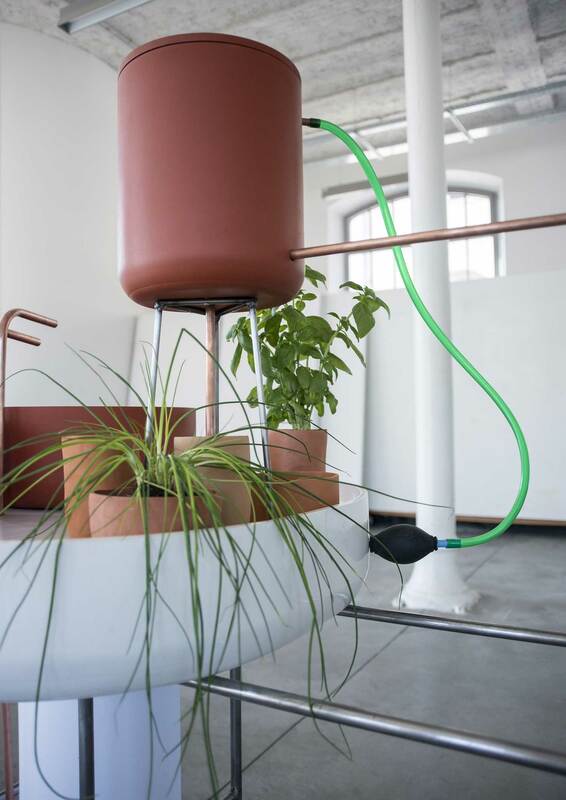 La Cuisine by // The concept of La Cuisine highlights the importance of minimising the waste of precious and essential resources like water and food. Water can be reused for other purposes in order to decrease a household’s ecological footprint. As for food, the storage space constrains the person to foresee the appropriate amount of food and its quality. At the same time, this project addresses the issue of the sharing potential of the kitchen. Viiva by // Viiva was inspired by the OLED’s flat shape and soft, comfortable light, rejecting the high-tech imagery often associated with glowing screens. 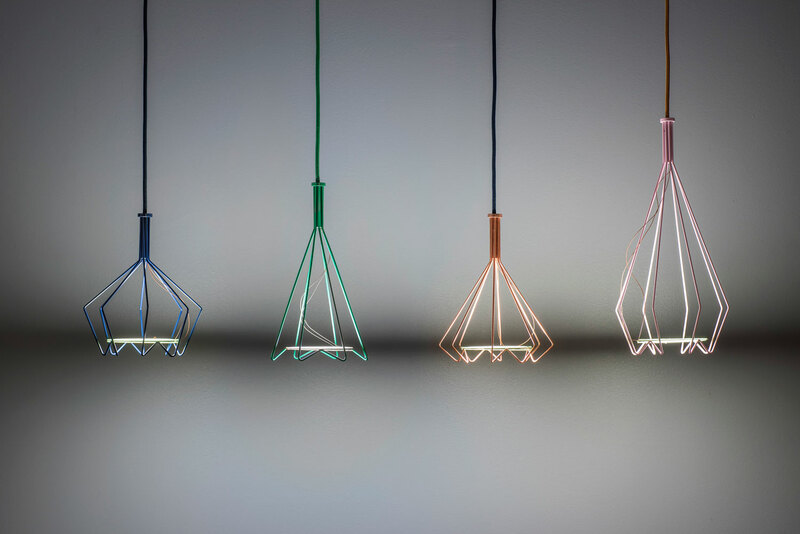 Hanging horizontally, the OLED panels disappear into their own thinness, leaving empty the slim wire structure and highlighting the absence of a traditional light bulb. 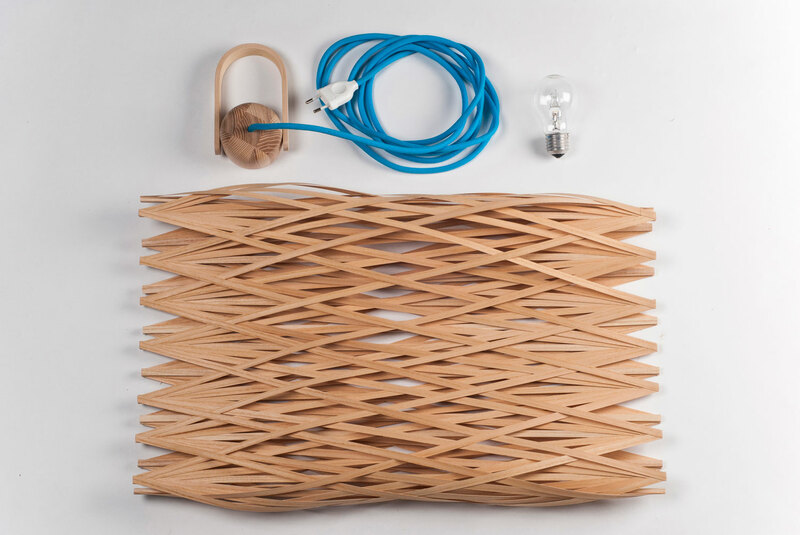 Viiva was developed as part of a cooperative partnership between Aalto University and Airam Electric. Two Faces by Philipp Grundhoefer // TWO FACES is a shelving unit made from extruded aluminium profiles, which is infinitely adjustable vertically. Ribs on the upper side of the shelf not only give the shelving unit its distinctive look, but also enable various accessories to be attached. The ribs also provide the necessary rigidity for the extraordinarily long shelves. A clip mechanism on the bottom enables easy assembly Montage. 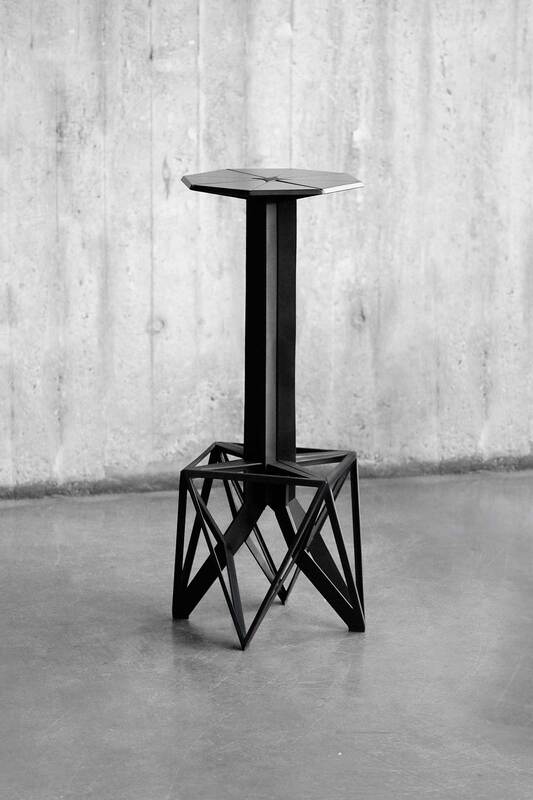 Barstool Bender by Markus Marschall // The barstool is made up of four identical pieces of sheet steel. The advantage of this is that all that is required in production to cut and fold the same steel sheet each time. 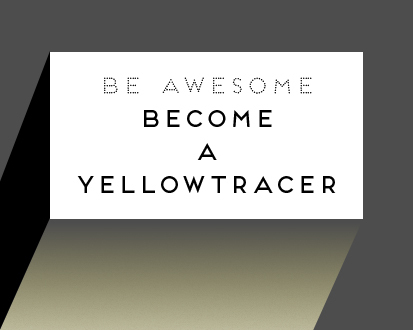 This results in economical and efficient manufacturing. When put together the four parts create an extremely stable, material-saving, lightweight bar stool. random non random by // Almost playfully random non random breaks with convention and seems to unite contrasts. 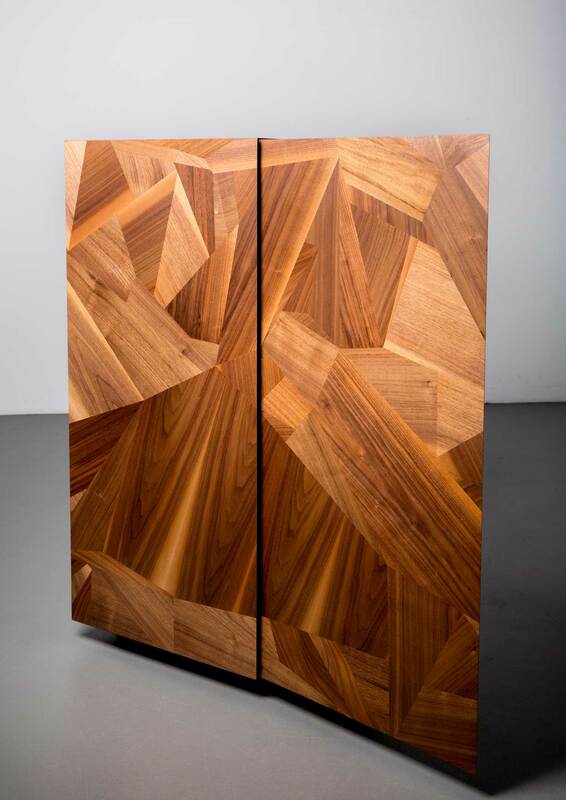 The seemingly randomly placed external veneered areas contrast with the linear shape and the structured internal design of the furniture. 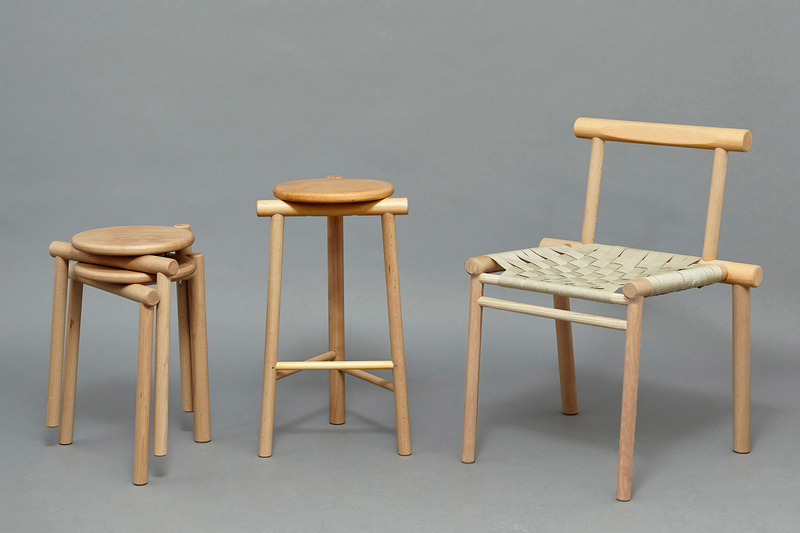 Rodular Series by // The use of round section timber gives the unique aesthetics and allows a simple production model. The construction means that a strong, functional piece of furniture can be created for a low cost. The solid timbers and fully enclosed joints give the seats a certain craft and quality. 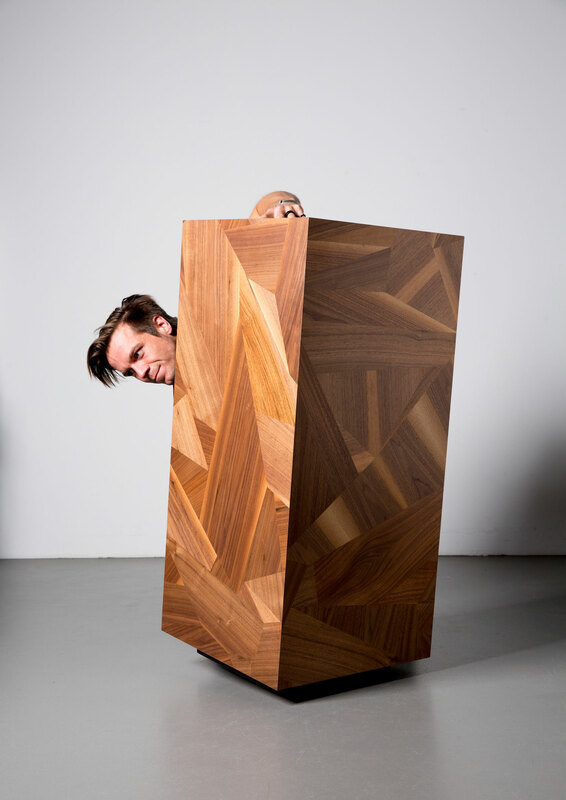 Beech timber has been selected both as a sustainable European hardwood and for its grain structure, which makes it suitable for the geometry of the collection. 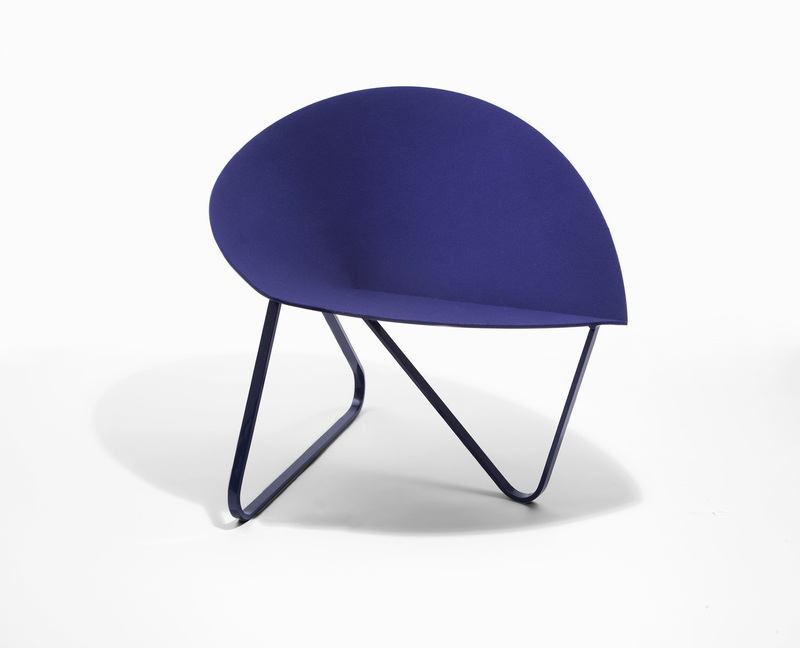 Curved Chair by Nina Cho // The shell of Curved Chair is created through a single, broad curve. 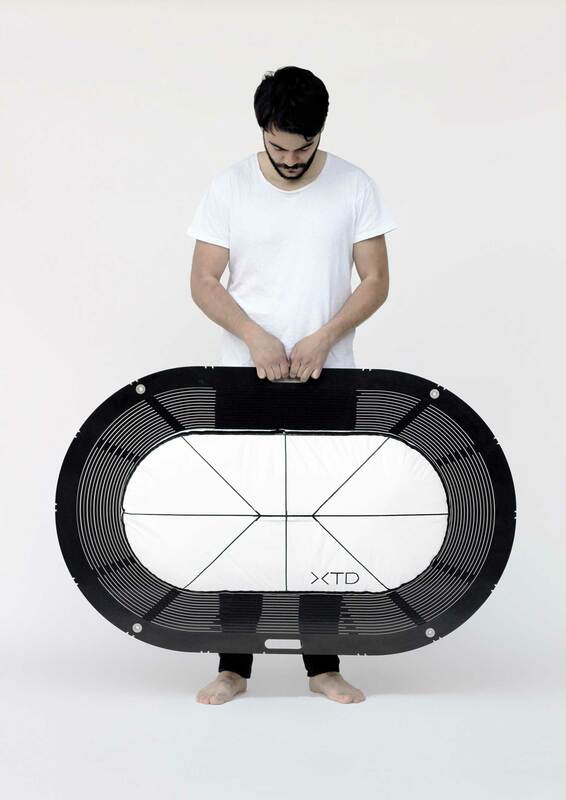 Cutting a pie-shaped piece away from a circular sheet of steel and curving it to connect the edges creates the three-dimensional chair shell in one simple gesture. The form of the legs echoes the sweeping curve of the shell’s perimeter. 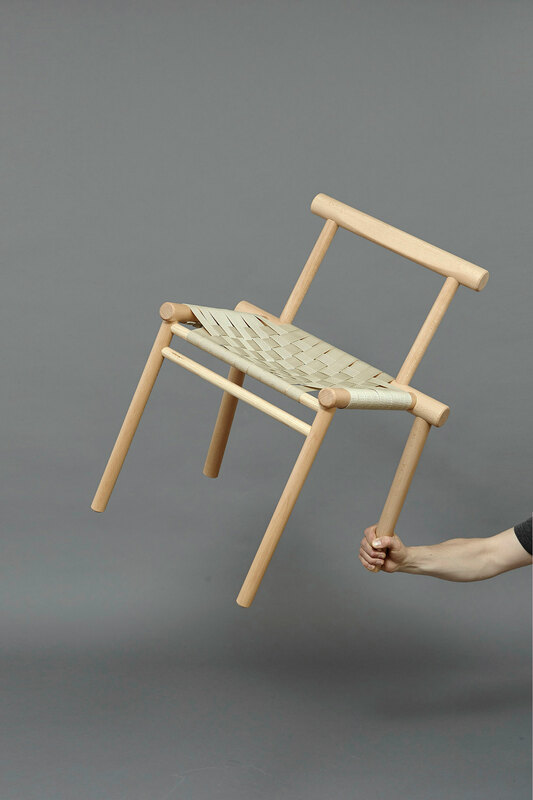 The wide seat invites users to have freedom with their posture. The long line of the outside curve also functions as an armrest. Cutting Edge by // Cutting Edge represents the grey area between functional products and sculptural work, with a process based on the famous foamcutting technique. With the provision of the machine, a range of silhouettes and a rectangular block of EPS, the user is able to compose the blueprint for their own bespoke bench. Every intuitive movement of the maker is directly translated into shape. Each new line the hot wires are cutting through the foam offers the possibility of resulting in unique characteristics. 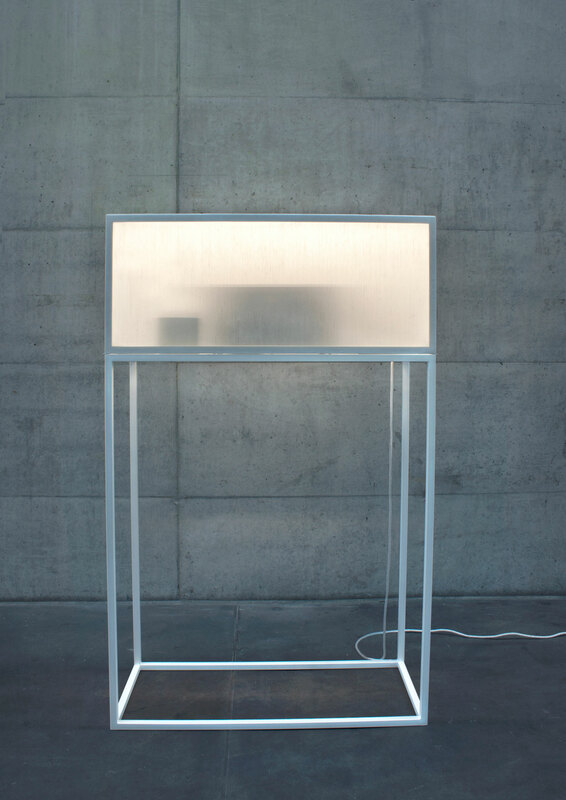 Work Shift by Lena Plaschke // The working area of the desk is illuminated by a work light above it in the form of a rectangular lampshade. It can me moved up and down. This means the workspace can be closed down using the shade when work is finished, and concealed at the same time. 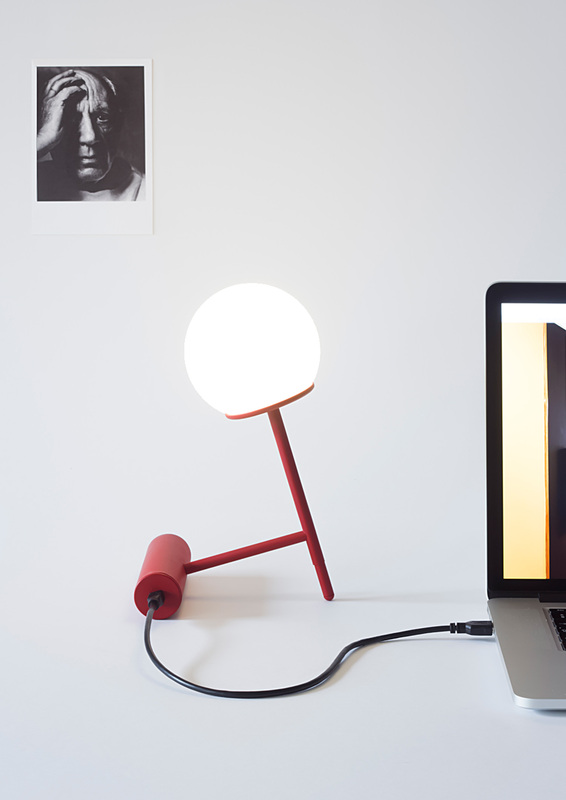 The desk changes from a workspace into a cosy lighting unit. When the light is switched on, all that remains is a shadow of the workspace. 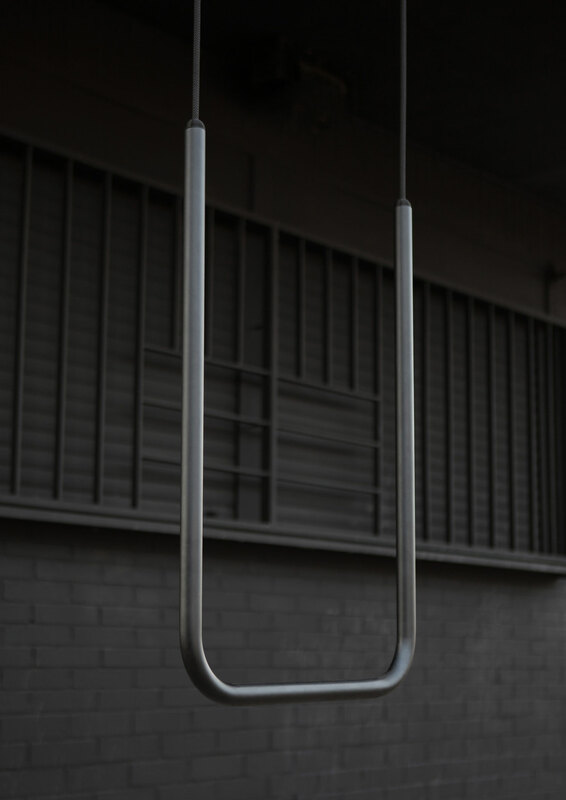 As High As Best by Oliver Selim Boualam & // A stainless steel tube bent into an angled U shape, powder coated in black, with a cable through it, As High As Best adapts the custom of improvised seating in a public space to form a precise and dynamic shape. Considering the regulations for materials and structures in locations where people stay temporarily (bus stops, playgrounds, train stations), the swing design switches the relationship between function and standard. Dancers by // Dancers can be seen as a single frame within a moving shot, representing both what we expend through everyday interaction with the objects in our lives as well as what we can perceive as their own individual presence in space: a place where the static world and the world in movement reflect upon each other. They explore a new perspective of functionality between movement and stability, far removed from the classic object and its everyday use. 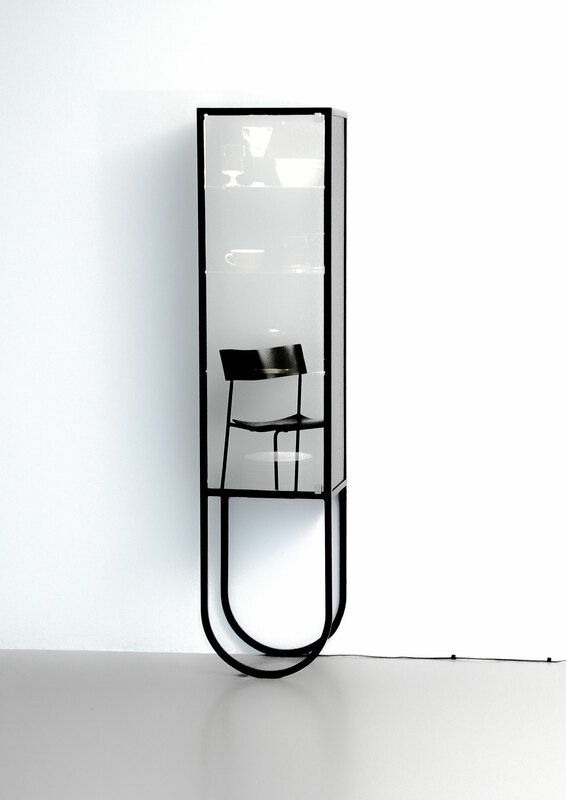 Two by Oliver Selim Boualam // TWO is a table. Two primary shapes – a circle and a square – are bent at right angles on a symmetrical axis and positioned on top of each other. The arrangement of the familiar appears both proven and new. The square provides stability as the base. The circle forms the face and top of the table. 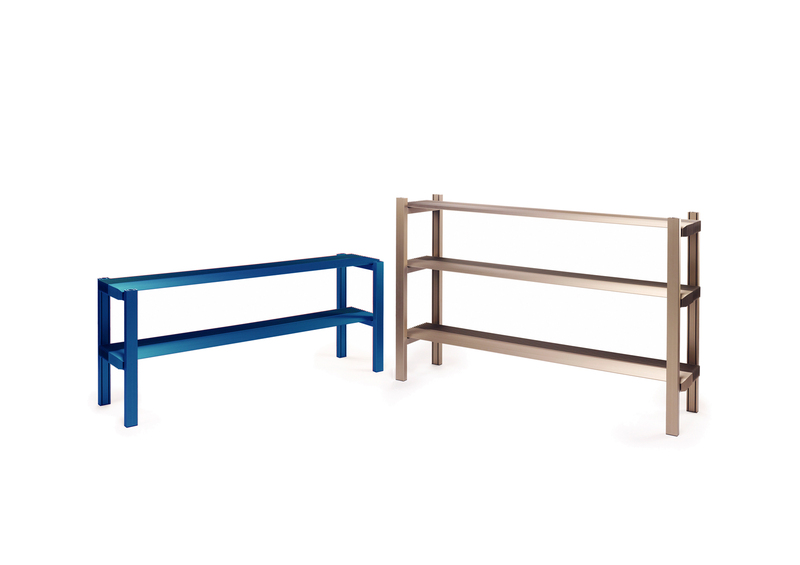 Units in different colours enable modular variation. Two tables placed next to each other form a flat, circular table area. Cardboard Stool by // The starting point of the project was to manipulate the everyday quality of cardboard and expand its visual styling. 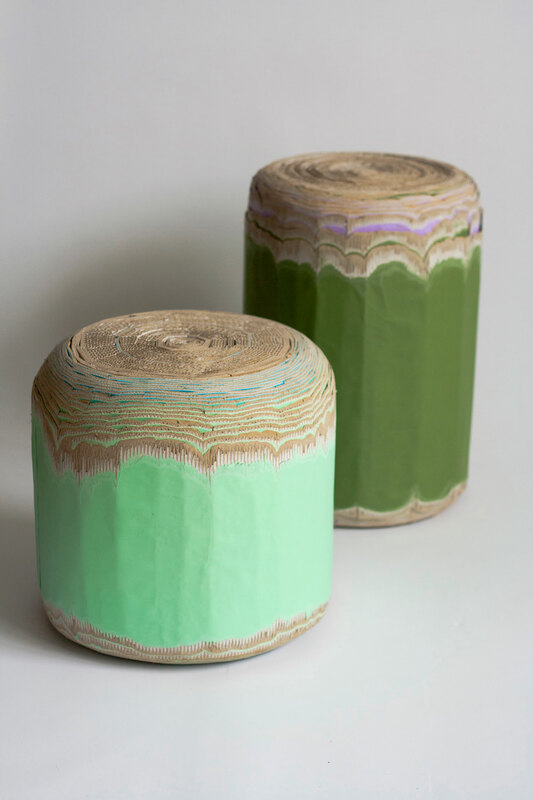 Each stool is made by rolling corrugated cardboard into an elongated cylinder. Sanding the edges not only reveals the individual layers of colour but also the wave-shaped structure of the material. 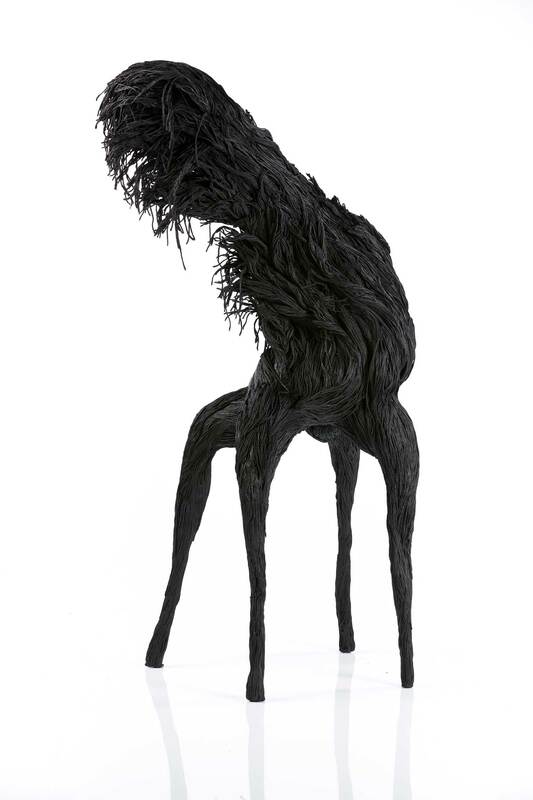 This process reveals the inner aesthetics of the material, which is usually not visible. The Rabbit Hole: Organic Tea Bar by Matt Woods Design. Great work of these young talents. Especially Aurelie Hoegy with her dancers is great art.